These cute striped shorts are under $20, great quality, and come in many colors. I am wearing my normal small and they fit great. I love that they are modest and breezy for a warm spring day! 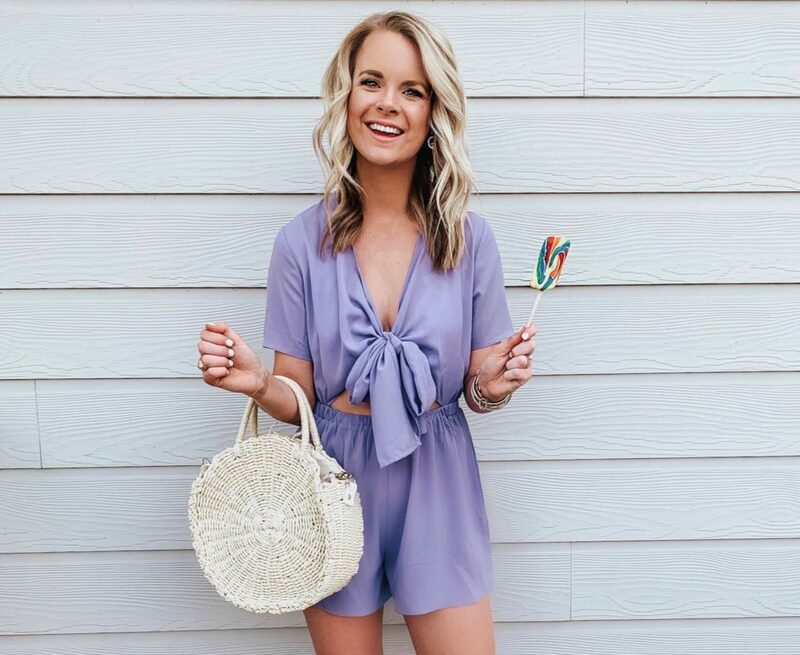 Obsessed with this romper is an understatement. I love the violet color + the cute cut out detail. I am wearing a small, but honestly could have sized up to a medium for the booty! 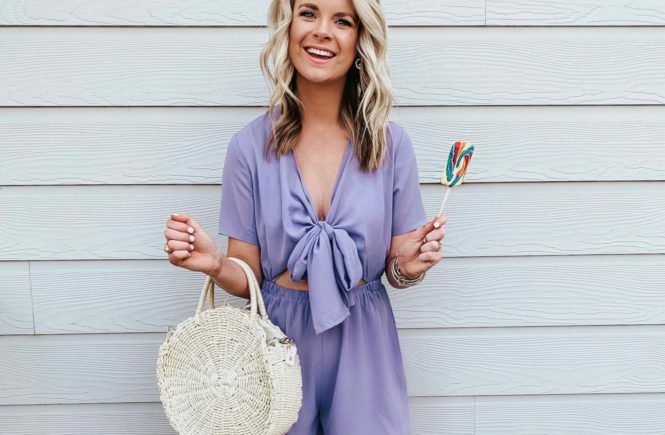 This is also under $20 and would make the perfect date night outfit for spring/summer. Please go ahead and forgive me if you see this jumpsuit on major repeat. It’s so comfy and flattering + you can dress it up with wedges or down with sneakers. What’s not to love?! Oh and did I mention it is under $30 and comes in several colors? 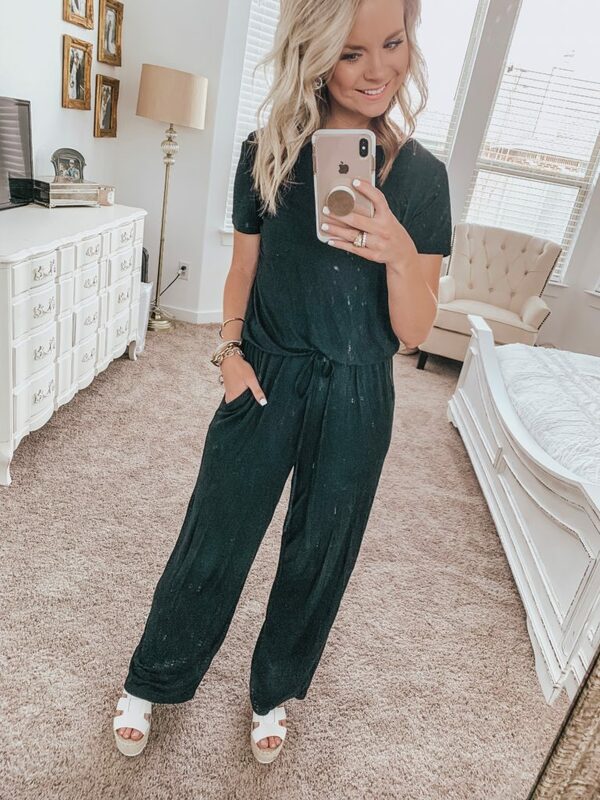 Fits TTS and I promise this will be your go to for weekend brunch and errands! Let me introduce you to my new go to blouse. 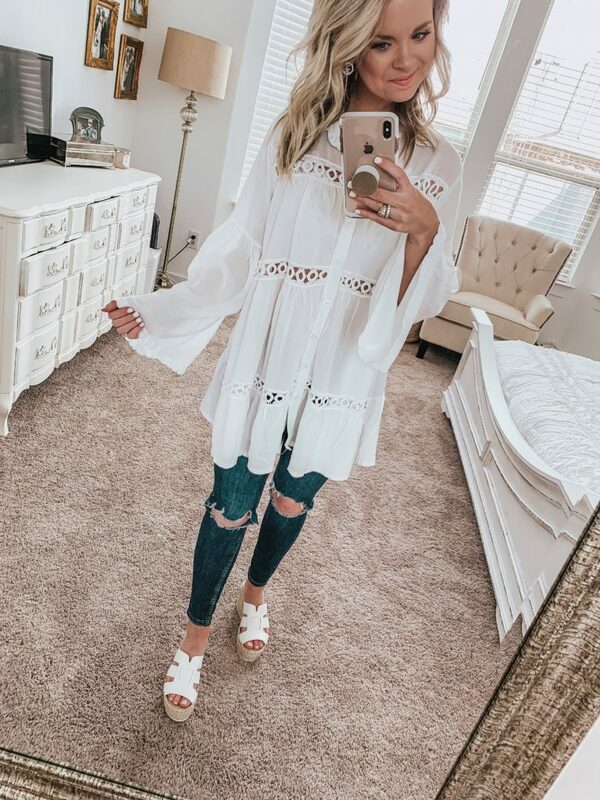 This white henley top is amazing quality and under $20. Nordstrom carries tops like this all the time, but they are typically double or triple the price. Love that this one doesn’t break the bank! I hope you enjoy these Amazon posts as much as I do. Cute, affordable items that can get delivered to your door in the matter of seconds. Yes, please! Many more Amazon hauls to come, so stay tuned!